If you have several images on your hard drive keeping them in order is a big hassle. If you want to perform different tasks like resizing them for better utilization of disk space or you want to add watermark images while sharing online, it is a daunting task to go individually. This is where batch image processing software will come to our rescue. While there are applications that can do these tasks individually, like an image resizer, or a tool to add watermark, it is not handy if you want to do many tasks. 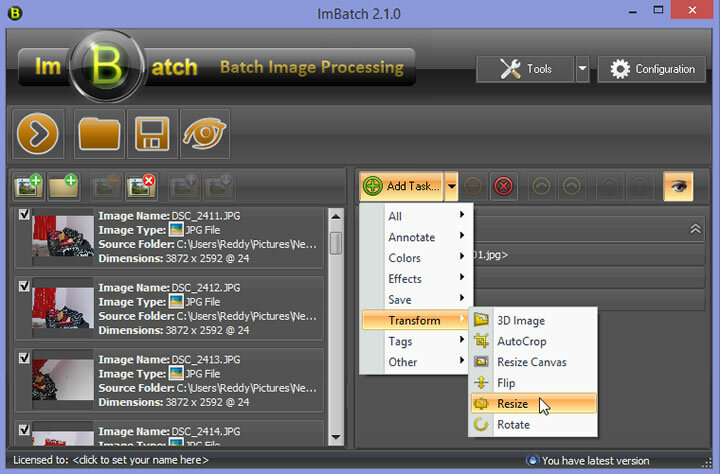 ImBatch is a batch image processing software that might be useful for doing many tasks on images. It is a free software and available for download, recently High Motion Software, the developer behind the program has released the version 2.1. It is a powerful application for doing image processing batch wise. The application comes with a simple yet functional UI, if you don’t like the default skin you can change the skin from configuration options. After installing the software explore the software features to see what all you can do with this tiny application. All you have to do is add images to the left panel, you can add folders to this panel. Once added select the tasks from Add Task button on the right panel. You can add several tasks to be performed depending on your preferences. The individual tasks will show up in the right panel. You can rearrange tasks by dragging and dropping. The most useful batch image tasks include resizing, watermark, renaming images. If you are worried about your image EXIF data you can remove it for privacy reasons or set Exif data using tasks. Once you are done with adding tasks you can run the program to do the batch image processing, depending on the tasks you have selected it might take some time to finish the process. Don’t forget to add Save as task to customize the file name and other parameters, otherwise your original image file gets overwritten. Overall the program does exactly what is says. It is one of the best batch image processing software out there. 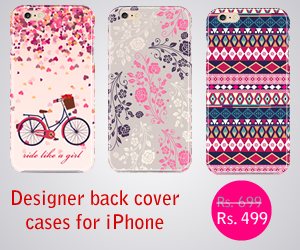 It is available as a free download for Windows XP, Vista, 7 & Windows 8.